Like many boys infatuated with aviation, Calgary-born Ross Buckland occupied countless hours making model airplanes. The models Ross made, however, remained unfinished; "I found the exercise boring and frustrating, lacking the emotional excitement." 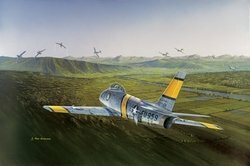 These first efforts began the development of Ross' aviation art and through the encouragement of family and friends he began to concentrate to improve and develop his artwork. Although Ross tried expanding his talents through art classes at school, his instructors were more interested in modern interpretive work and gave no attention to either the subject or style Ross was trying to develop. 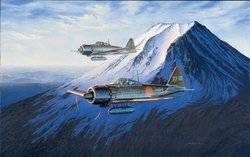 Ross was thus left to his own resources to try and develop his work through the study and examination of aviation artists whose work he admired. The artwork that Ross creates reflects an awareness of flight, and this is not an accident. Not content with illustrating airplanes, Ross was also driven to fly. 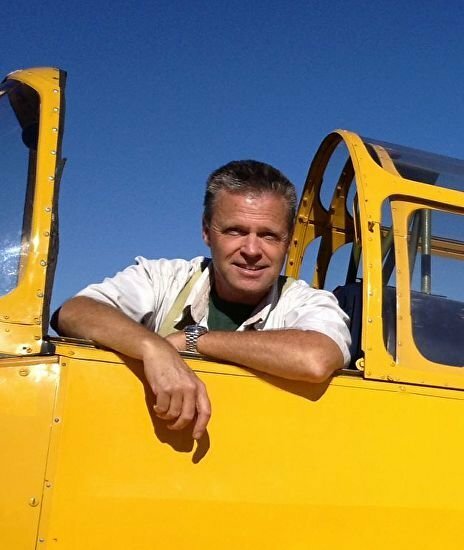 He began taking flying lessons and obtained his pilot's license before getting his driver's license. He pressed on with this flight training and before he finished high school was a qualified flight instructor, now teaching flying himself. 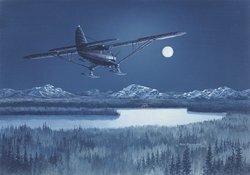 Aviation art must challenge the camera and thus every painting must be more than just a picture. Ross' work is tight and crisp but alive with a sense of motion and environment. In his creations he strives for completeness based on accuracy and authenticity. Hours of research go into his paintings before he can first put brush to canvas. 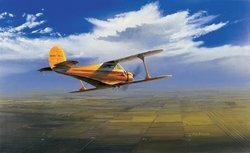 "My art is a means to convey the emotions of flight, sometimes experiences, sometimes imagined, and to celebrate and preserve the excitement and history of aviation." Participating in the 1987 forum of the American Society of Aviation Artists, Ross was awarded the Founders Gold Award, the first ever presented, for his painting of a CF-101 entitled "One-O-Wonder." 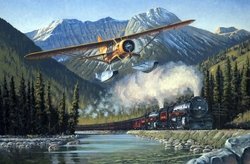 Ross' original artwork can be found in many private and corporate collections and is displayed at the RCAF Memorial Museum.